My mother and father were both Londoners. They met on a train travelling from King's Cross station to Arbroath in Scotland when they were both eighteen; my father was off to join the Royal Navy, my mother to join the WRNS (the women's equivalent). My mother said she was cold, my father offered her a half share in his coat, and they got married just over a year later, when they were nineteen. Both left the navy and moved to the outskirts of Bristol, in the West of England. My mother gave birth to me when she was twenty. I was a rotund baby. The description in 'Philosopher's Stone' of the photographs of 'what appeared to be a beach ball wearing different coloured bobble hats' would also apply to the pictures of my early years. My sister Di arrived a year and eleven months after me. The day of her birth is my earliest memory, or my earliest datable memory, anyway. I distinctly remember playing with a bit of plasticine in the kitchen while my father rushed in and out of the room, hurrying backwards and forwards to my mother, who was giving birth in their bedroom. I know I didn't invent this memory because I checked the details later with my mother. I also have a vivid mental picture of walking into their bedroom a little while later, hand in hand with my father, and seeing my mother lying in bed in her nightdress next to my beaming sister, who is stark naked with a full head of hair and looks about five years old. Although I clearly pasted together this bizarre false memory out of bits of hearsay when I was a child, it is so vivid that it still comes to mind if I ever think about Di being born. Di had - and still has - very dark, almost black hair, and dark brown eyes like my mother's, and she was considerably prettier than I was (and she still is). As compensation, I think, my parents decided that I must be 'the bright one'. We both resented our labels. I really wanted to be less freckly-beach-ball-like, and Di, who is now a lawyer, felt justifiably annoyed that nobody had noticed she was not just a pretty face. This undoubtedly contributed to the fact that we spent about three quarters of our childhood fighting like a pair of wildcats imprisoned together in a very small cage. To this day, Di bears a tiny scar just above her eyebrow from the cut I gave her when I threw a battery at her - but I didn't expect to hit her, I thought she'd duck! (This excuse didn't cut much ice with my mother, who was angrier than I had ever seen her). We left the bungalow when I was four and moved to Winterbourne, also on the outskirts of Bristol. Now we lived in a semi-detached house with STAIRS, which prompted Di and I to re-enact, over and over again, a clifftop drama in which one of us would 'dangle' from the topmost stair, holding hands with the other and pleading with them not to let go, offering all manner of bribery and blackmail, until falling to their 'death'. We found this endlessly amusing. I think the last time we played the cliff game was two Christmases ago; my nine-year-old daughter didn't find it nearly as funny as we did. The small amount of time that we didn't spend fighting, Di and I were best friends. I told her a lot of stories and sometimes didn't even have to sit on her to make her stay and listen. Often the stories became games in which we both played regular characters. I was extremely bossy when I stage-managed these long-running plays but Di put up with it because I usually gave her star parts. There were lots of children around our age living in our new street, among them a brother and sister whose surname was Potter. I always liked their name, whereas I wasn't very fond of my own; 'Rowling' (the first syllable of which is pronounced 'row' as in boat, rather than 'row' as in argument) lent itself to woeful jokes such as 'Rowling stone', 'Rowling pin' and so on. Anyway, the brother has since cropped up in the press claiming to 'be' Harry. His mother has also told reporters that he and I used to dress up as wizards. Neither of these claims is true; in fact, all I remember of the boy in question was that he rode a 'Chopper', which was the bicycle everybody wanted in the seventies, and once threw a stone at Di, for which I hit him hard over the head with a plastic sword (I was the only one allowed to throw things at Di). I enjoyed school in Winterbourne. It was a very relaxed environment; I remember lots of pottery making, drawing and story writing, which suited me perfectly. However, my parents had always harboured a dream of living in the country, and around my ninth birthday we moved for the last time, to Tutshill, a small village just outside Chepstow, in Wales. The move coincided almost exactly with the death of my favourite grandparent, Kathleen, whose name I later took when I needed an extra initial. No doubt the first bereavement of my life influenced my feelings about my new school, which I didn't like at all. We sat all day at roll-top desks facing the blackboard. 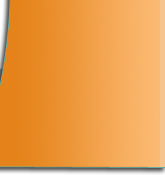 There were old inkwells set into the desktops. There was a second hole in my desk, which had been gouged out with the point of a compass by the boy who had sat there the year before. He had obviously worked away quietly out of the sight of the teacher. I thought this was a great achievement, and set to work enlarging the hole with my own compass, so that by the time I left that classroom you could comfortably wiggle your thumb through it. My secondary school, Wyedean, where I went when I was eleven, was the place I met Sean Harris, to whom Chamber of Secrets is dedicated and who owned the original Ford Anglia. He was the first of my friends to learn to drive and that turquoise and white car meant FREEDOM and no more having to ask my father to give me lifts, which is the worst thing about living in the countryside when you are a teenager. Some of the happiest memories of my teenage years involve zooming off into the darkness in Sean's car. He was the first person with whom I really discussed my serious ambition to be a writer and he was also the only person who thought I was bound to be a success at it, which meant much more to me than I ever told him at the time. The worst thing that happened during my teenage years was my mother becoming ill. She was diagnosed with multiple sclerosis, which is a disease of the central nervous system, when I was fifteen. Although most people with multiple sclerosis experience periods of remission - when their illness stops progressing for a while, or even improves - Mum was unlucky; from the time of her diagnosis onwards she seemed to become slowly but steadily worse. I think most people believe, deep down, that their mothers are indestructible; it was a terrible shock to hear that she had an incurable illness, but even then, I did not fully realise what the diagnosis might mean. I left school in 1983 and went to study at the University of Exeter, on the south coast of England. I studied French, which was a mistake; I had succumbed to parental pressure to study 'useful' modern languages as opposed to 'but-where-will-it-lead?' English and really should have stood my ground. On the plus side, studying French meant that I had a year living in Paris as part of my course. After leaving university I worked in London; my longest job was with Amnesty International, the organisation that campaigns against human rights abuses all over the world. But in 1990, my then boyfriend and I decided to move up to Manchester together. It was after a weekend's flat-hunting, when I was travelling back to London on my own on a crowded train, that the idea for Harry Potter simply fell into my head. I had been writing almost continuously since the age of six but I had never been so excited about an idea before. To my immense frustration, I didn't have a functioning pen with me, and I was too shy to ask anybody if I could borrow one. I think, now, that this was probably a good thing, because I simply sat and thought, for four (delayed train) hours, and all the details bubbled up in my brain, and this scrawny, black-haired, bespectacled boy who didn't know he was a wizard became more and more real to me. I think that perhaps if I had had to slow down the ideas so that I could capture them on paper I might have stifled some of them (although sometimes I do wonder, idly, how much of what I imagined on that journey I had forgotten by the time I actually got my hands on a pen). I began to write 'Philosopher's Stone' that very evening, although those first few pages bear no resemblance at all to anything in the finished book. I moved up to Manchester, taking the swelling manuscript with me, which was now growing in all sorts of strange directions, and including ideas for the rest of Harry's career at Hogwarts, not just his first year. Then, on December 30th 1990, something happened that changed both my world and Harry's forever: my mother died. It was a terrible time. My father, Di and I were devastated; she was only forty five years old and we had never imagined - probably because we could not bear to contemplate the idea - that she could die so young. I remember feeling as though there was a paving slab pressing down upon my chest, a literal pain in my heart. Nine months later, desperate to get away for a while, I left for Portugal, where I had got a job teaching English in a language institute. I took with me the still-growing manuscript of Harry Potter, hopeful that my new working hours (I taught in the afternoon and evening) would lend themselves to pressing on with my novel, which had changed a lot since my mother had died. Now, Harry's feelings about his dead parents had become much deeper, much more real. In my first weeks in Portugal I wrote my favourite chapter in Philosopher's Stone, The Mirror of Erised. I had hoped that when I returned from Portugal I would have a finished book under my arm. In fact, I had something even better: my daughter. I had met and married a Portuguese man, and although the marriage did not work out, it had given me the best thing in my life. Jessica and I arrived in Edinburgh, where my sister Di was living, just in time for Christmas 1994. I intended to start teaching again and knew that unless I finished the book very soon, I might never finish it; I knew that full-time teaching, with all the marking and lesson planning, let alone with a small daughter to care for single-handedly, would leave me with absolutely no spare time at all. And so I set to work in a kind of frenzy, determined to finish the book and at least try and get it published. Whenever Jessica fell asleep in her pushchair I would dash to the nearest cafe and write like mad. I wrote nearly every evening. Then I had to type the whole thing out myself. Sometimes I actually hated the book, even while I loved it. Finally it was done. I covered the first three chapters in a nice plastic folder and set them off to an agent, who returned them so fast they must have been sent back the same day they arrived. But the second agent I tried wrote back and asked to see the rest of the manuscript. It was far and away the best letter I had ever received in my life, and it was only two sentences long. It took a year for my new agent, Christopher, to find a publisher. Lots of them turned it down. Then, finally, in August 1996, Christopher telephoned me and told me that Bloomsbury had 'made an offer.' I could not quite believe my ears. 'You mean it's going to be published?' I asked, rather stupidly. 'It's definitely going to be published?' After I had hung up, I screamed and jumped into the air; Jessica, who was sitting in her high-chair enjoying tea, looked thoroughly scared. And you probably know what happened next. Written by JK Rownling herself. When Bloomsbury Children's Books published the book in June of 1997, it became an instant hit. It won the British Book Awards Children's Book of the Year and Smarties Prize the same year. In September of 1998, Arthur A. Levine Books/Scholastic Press published the book in the U.S. which was renamed, Harry Potter and the Sorcerer's Stone. She immediately started working on a sequel, which she eventually named Harry Potter and the Chamber of Secrets (one of its former names was Harry Potter and the Half-Blood Prince). It was published in July of 1998 in Britain and June of 1999 in the United States. She promised another five books in the series, making the total seven. J.K. Rowling became a household name when the first three installments of Harry Potter took the top three slots on the New York Bestsellers List. The books achieved similar success in the U.K. as well. Soon after the release of the first book, Warner Bros. bought the rights to transform the books into films. Harry Potter and the Philosopher's Stone brought in over $90 million dollars during its opening weekend, and each of the following films has been wildly successful, as evidenced by Goblet of Fire's massive $102 million opening weekend in November 2005. 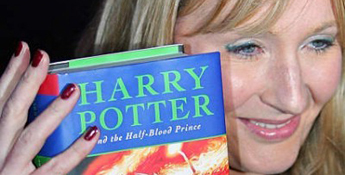 By the summer of 2001, Jo had reportedly earned over $400 million for her first three Harry Potter novels. The books had been translated into 35 different languages and had sold 30 million copies. 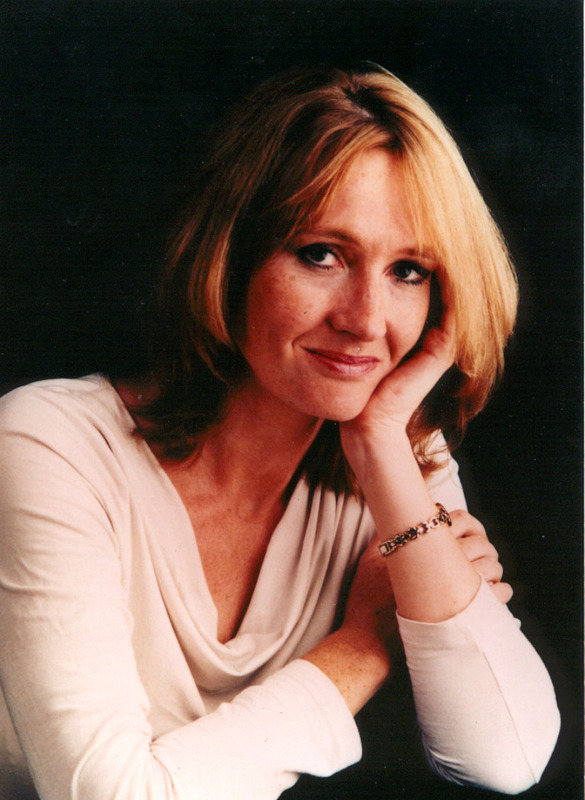 Her fourth book, Harry Potter and the Goblet of Fire, pre-sold one million advanced copies. In December of 2001, J.K. privately wed Dr. Neil Murray, and the couple's first child, a boy, was born in March 2003, three months before the release of the much anticipated Harry Potter and the Order of the Phoenix. Her third child, Mackenzie, was born on January 23, 2005. Rowling wrote on her website two days later that Mackenzie was "ridiculously beautiful." Rowling's fortune is currently estimated to be over a billion dollars. She is on the Forbes "100 Most Powerful Women" list and is #6 on the 2004 Forbes Celebrity Power List. What started with the idea of a small, dark-haired boy with glasses and a lightning-shaped scar has become one of the most recognized names in the world. J.K. Rowling will always be remembered for introducing us to a wizard named Harry Potter.